The Merridith Family. From left to right: Reggie, Chasity, Kayla, Christine, and RJ. Our family has loved Rehoboth from the very beginning. They welcomed us with open arms. Everybody was so friendly. They made us feel like family. Chasity and RJ enjoyed coming on Wednesday nights to take part in the programs Rehoboth had for the kids. Kayla was a baby and the ladies in the nursery always loved on her. 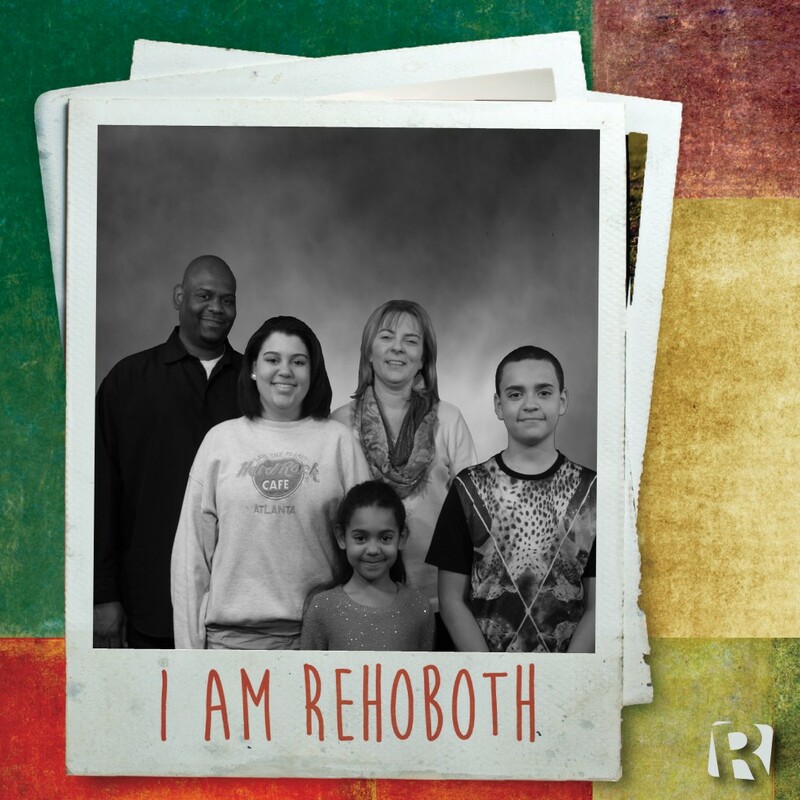 Rehoboth has become more than just a church for us. It has become a family to us. Our kids have grown up a lot over the last eight years and it is wonderful to know that so many people from Rehoboth have been a big part of that. We have seen many changes at Rehoboth over the years, but we are so glad that we stayed. We look forward to many more years and to seeing where God leads us and the Rehoboth family. The Merridith family has been attending Rehoboth since 2006. Christine, a native of Decatur, works with the 2- and 3-year-olds every Wednesday evening and with the 4-year-olds one Sunday each month. Chasity and RJ occasionally help with Rehoboth Kids on Sunday mornings. Reggie, who grew up in Natchez, Mississippi, volunteers wherever he is asked–he has helped with the Mens Gatherings and the Ladies’ Brunch, and he went to Tucker High School each Friday this fall to help take breakfast to the football team.